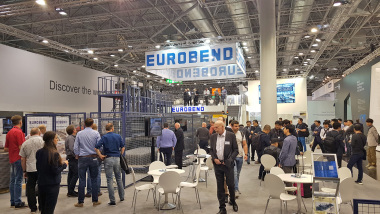 Eurobend GmbH offers the most complete range of mesh welding lines for the production of any type of mesh used in precast operations and in the construction field in general. 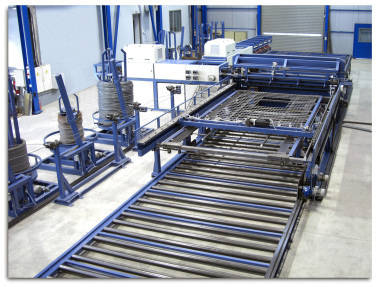 In addition to the offered broad range of welding lines for the production of stan-dard and specialized construction mesh, engineering, precast or architectural mesh, Eurobend GmbH offers a full range of automatic welding machines for the production of all types of mesh and bar spacers/supports, wall ties/girders and similar products. The latest installation of Eurobend’s “PLR TRUSS” welding line took place in Koge, Denmark for ”Pretec”. 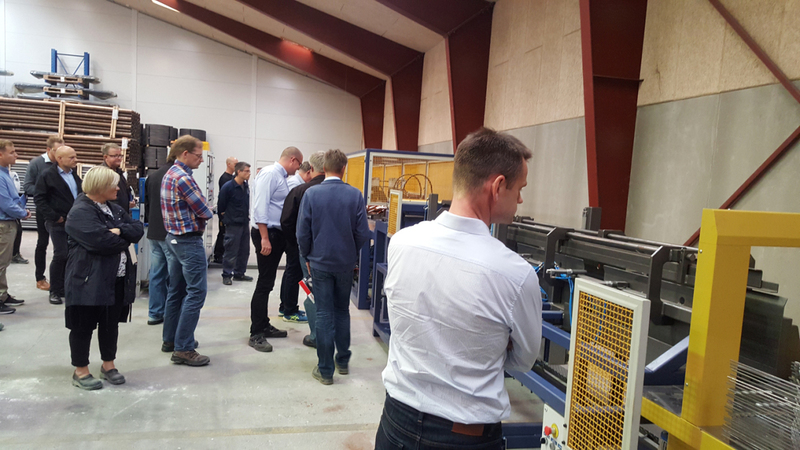 Pretec has a strong presence in Denmark as well as in Sweden, Finland and Norway, supplying precast companies with a large selection of products, inclusive of their ‘wall-ties’ which will be produced by their new PLR TRUSS welding machine. 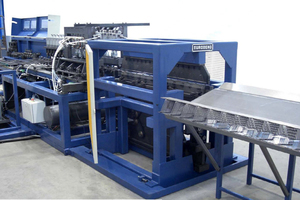 This latest machine version of the PLR TRUSS, is equipped also with an automatic bundling unit. 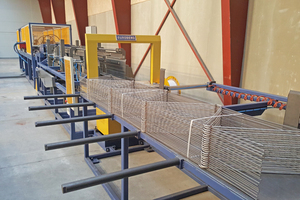 The “PLR TRUSS – single girder” series welding lines ensure simple machine layout, reliable and cost-effective production of truss, single girder and precast wall tie production. 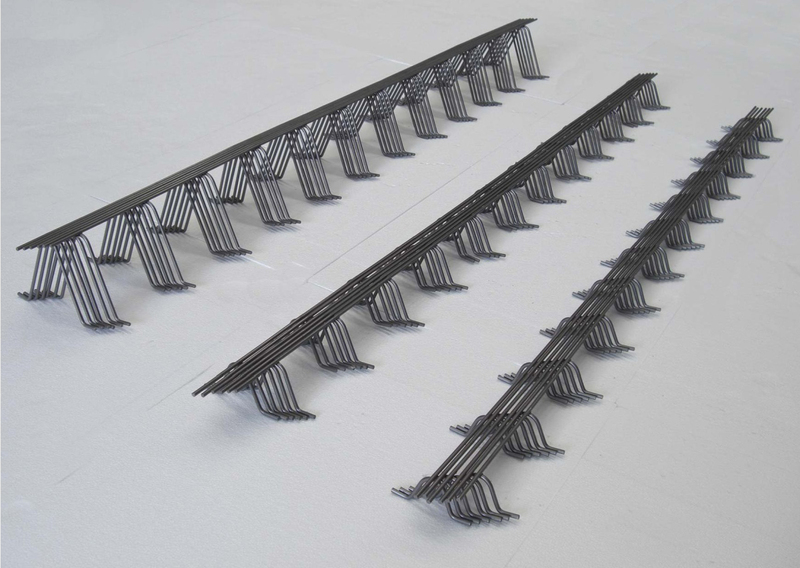 The machine can be supplied with overlap “R” type welding heads or optionally with “T” type (machine version PLT truss) welding heads. Fully programmable servo-motor driven diagonal wire bending device ensures excellent accuracies, repeatability and fast size changeovers. 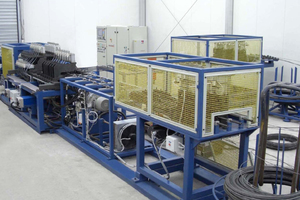 Powered de-coiling stations for line and diagonal wires with tension detector ensure smooth feeding of wires. Unique wire guiding system with multiple moving gripping points guarantees matchless output quality. Automatic stacking and bundling of meshes during production flow. 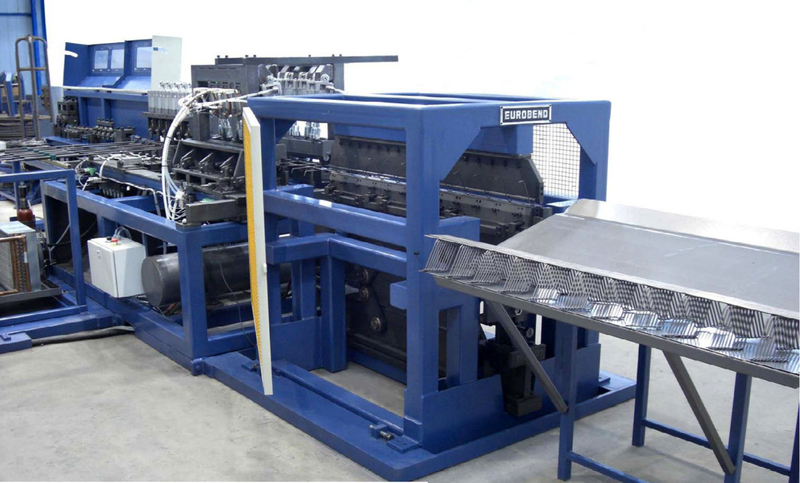 The PLT and PLR B spacer series are the only fully automatic bar support machines that offer the highest production speed (one full product in less than 4 s) featuring also fast and accurate product changeovers. The machines of these series are available with either “T” type or overlap welding heads, depending upon the required welding style between the cross and runner/line wires. 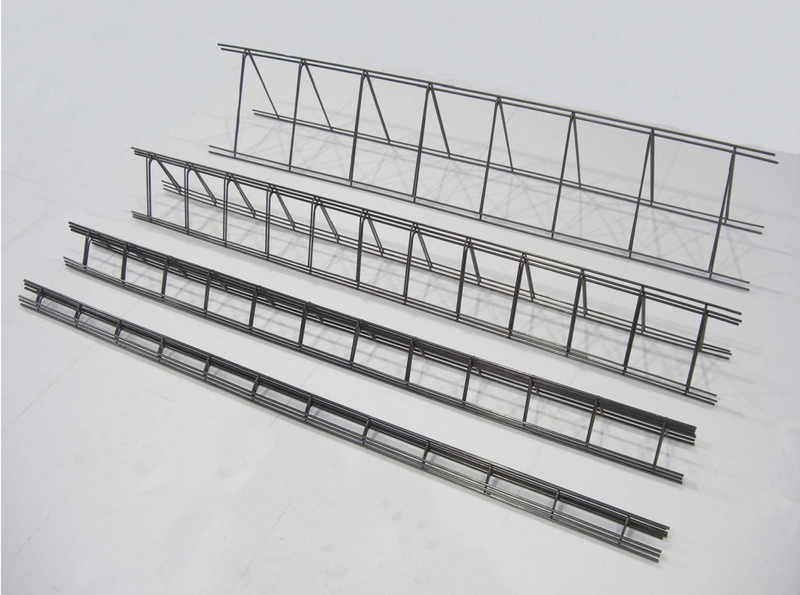 All types of plain-type bar supports can be produced by the same machine, in less than 4 s (six cross wire machine version). 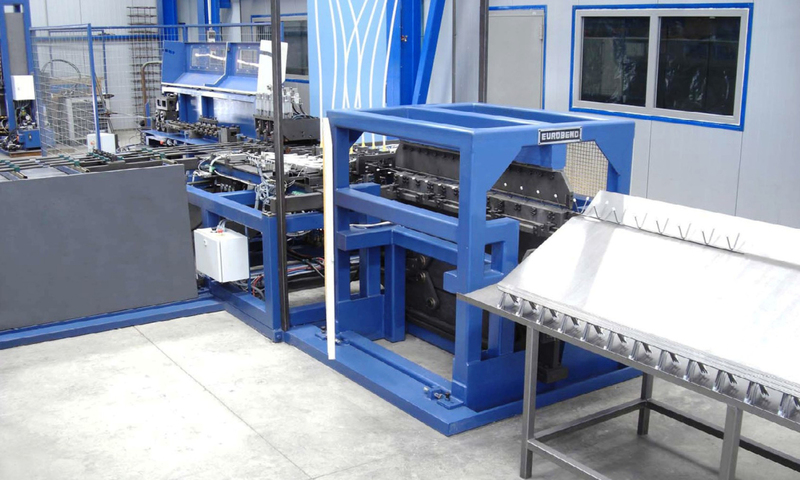 Highly efficient two-stage bending operation provides excellent accuracies and unmatched repeatability. 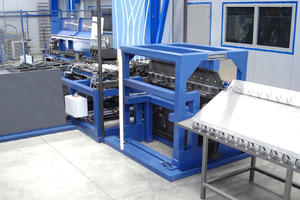 On the first stage, which employs two multiline bending stations (one per side) all cross wires ends are bent at once. On the second stage, the mesh is formed into the required bar support. Final product is discharged on an inclined table for easier collection and stacking. 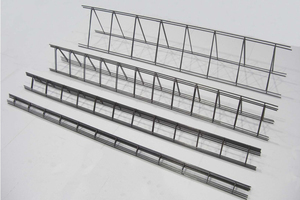 All types of plastic cup bar supports can be produced by the same machine. With patented wire stamping/notching mechanism and expansion of plastic cups guarantees elimination of loose plastic cups. Unique mechanism for rotation of plastic cups ensures always feeding of the plastic cup on the correct direction. 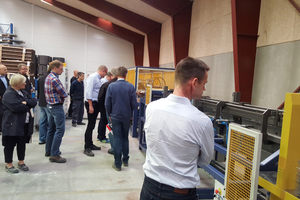 The above spacers welding machines are in operation in the US, Brazil, Netherlands, UK, Sweden, Turkey, etc. 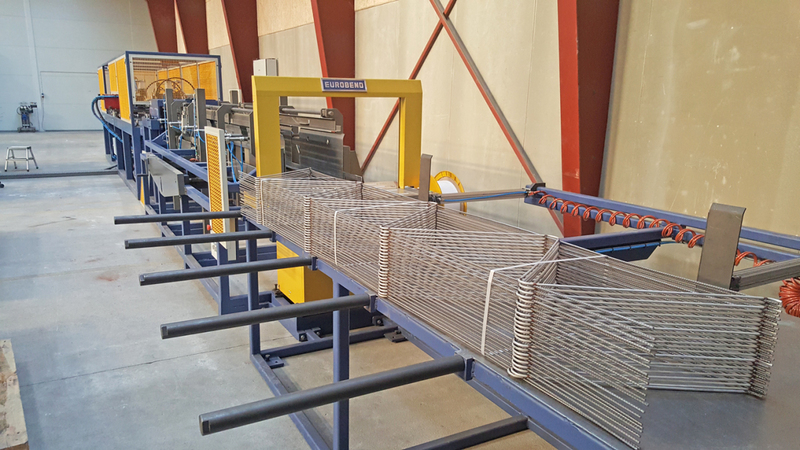 Finally, the PL TRIS welding machine is available as a stand-alone machine, or as a part of a fully automatic line of wall panel reinforcement production. 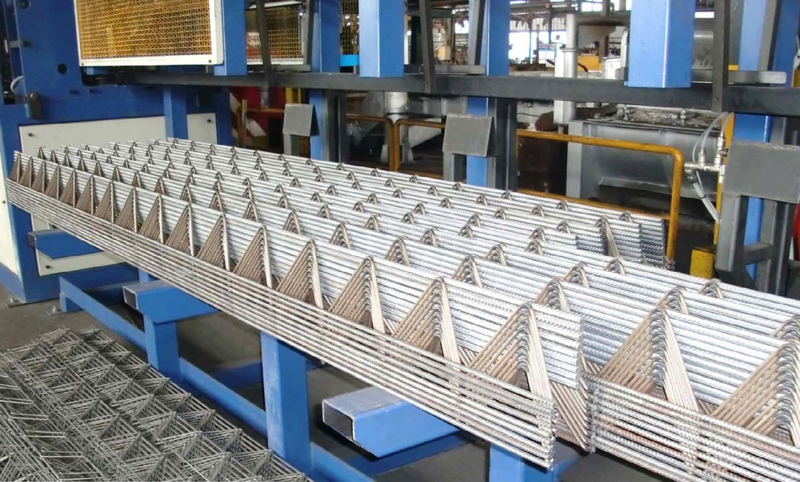 The “PL-TRIS” series of lattice girder welding lines can produce most types and sizes of lattice girders and offer reliable and cost-effective production. 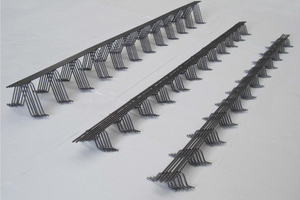 Different models are available for both the economic and high output production of lattice girders. Powered de-coiling stations for line and diagonal wires with tension detector, or wire loop accumulators according to machine version, ensure smooth and accurate feeding of wires. 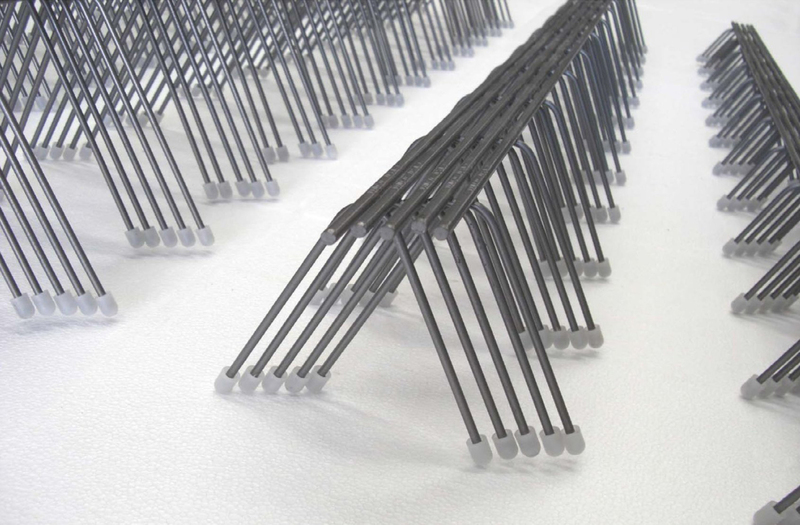 Straightening section employs roller straightening technology with patented product self-levelling anti-twist rollers. 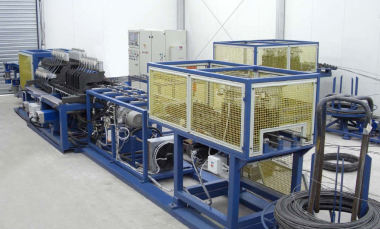 Unique continuous bending system, for double and quad step lines, with retractable bending pins for the two diagonal wires, ensures accurate and consistent operation. The machines are equipped with flexible welding heads with electrically driven height adjustment for the production of various lattice girder sizes. Hydraulic clamping units, mounted on a servomotor driven carrier, ensure accurate feeding of wires and lattice girders. 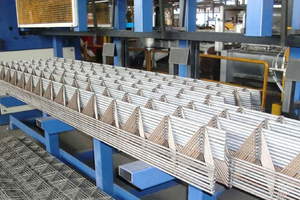 High speed cutting operation ensures continuous lattice girder production. 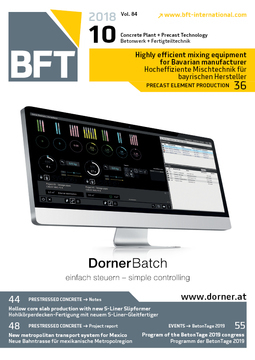 Automatic and fully automatic, synchronized stacking and batch removal modules are available. 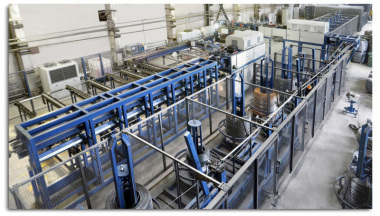 The PL TRIS welding lines are used by companies in Netherlands, K.S.A, S. America, etc.